Better Luck Tomorrow's breakfast sandwich on pan de mie with egg, sausage and aged cheddar. Photo courtesy of Better Luck Tomorrow. 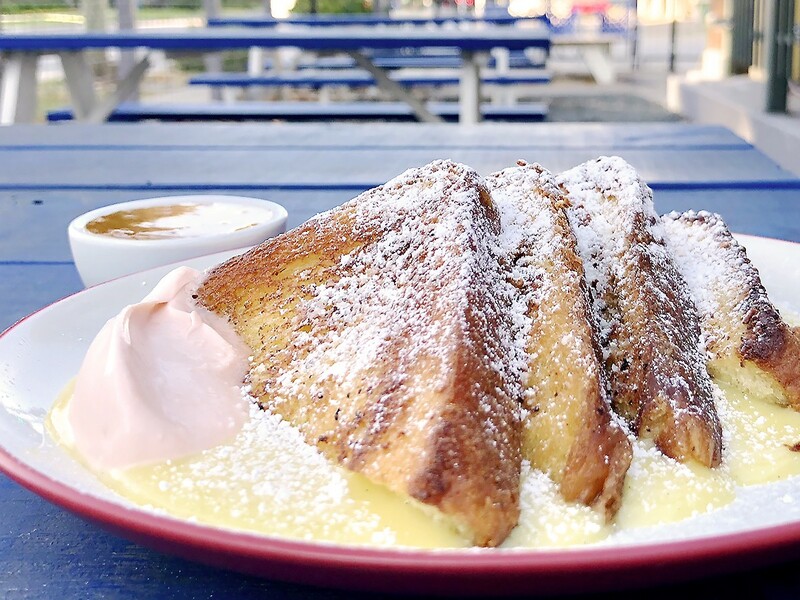 Starting this weekend, Houstonians can try a new, fun brunch option at a popular bar in the Heights. Better Luck Tomorrow at 544 Yale is kicking it off this weekend. It will happen every Saturday and Sunday from 11 a.m. to 3:30 p.m. Chef Justin Yu (also of Theodore Rex, formerly Oxheart), along with kitchen managers Drew Gimma and Ian Levy, are aiming for a high quality, ingredient driven menu that just might also help feed your hangover back to health. Gimma is a baker formerly of Per Se in New York City, and Better Luck Tomorrow’s owners are calling his contributions to the 10 to 12 item menu the “secret weapon.” These include yeast-risen doughnuts; custard french toast with Angostura bitters-infused creme fraiche and orange jelly; and a housemade pain de mie breakfast sandwich with egg, sausage and aged cheddar. Levy’s menu contributions include spicy matzoh ball soup (which sounds perfect for the cool season); Hangover Hashbrowns with cheese, gravy and shallots, a vegan seed and rice bowl; and, for those in need of heavier fare, fried chicken intended to be dunked in a side of mashed potatoes. The menu will change seasonally, so eat these while you can. Bar manager Alex Negranza’s Irish Coffee at Better Luck Tomorrow. Photo courtesy of Better Luck Tomorrow. Great brunches need great drinks, and that’s an area that operations director Terry Williams thinks there’s room to grow in. “There’s a reason why so many brunch cocktails have been bar standards for so long; it’s just a shame that more time and energy isn’t put into these great drinks,” he said via a press release. The new drinks that Williams and bar manager Alex Negranza created for brunch-time include a pared-down Bloody Mary with no “bacon, ridiculous garnishes, or excessive spice” that can still be intensified by swapping St. George’s Chili Vodka for the regular one. Also on the list is a fresh peach syrup bellini and a mimosa with orange juice “corrected” by a dash of lemon juice and syrup. Rounding out the cold drinks is an homage to the Garibaldi highball served at Dante’s in New York—a simple combination of Campari and the juice of an entire orange made “fluffy” with a special blender. Of course, ’tis the season for warm drinks. 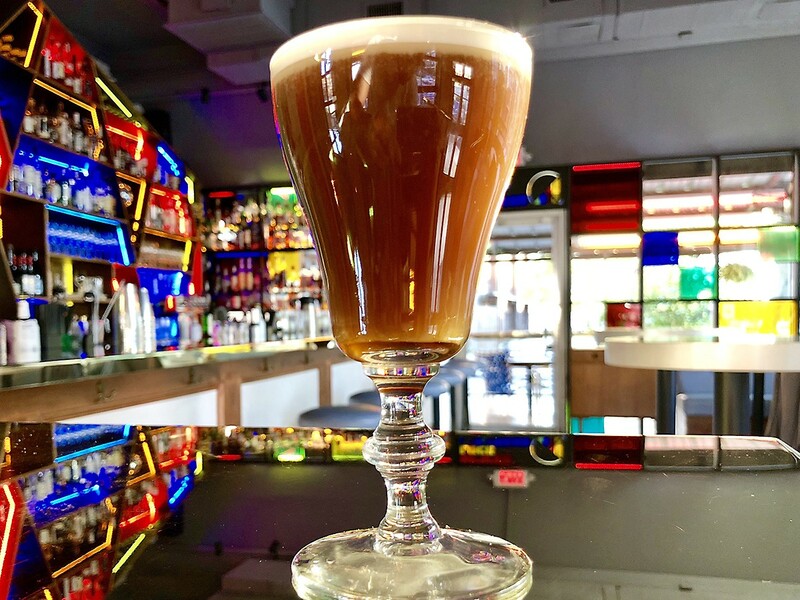 Filling that need is Negranza’s Irish coffee; the “Julep’d Toddy” a hot remix of two classic drinks with peppermint tea, bourbon, and honey; and classic, seasonal Hot Buttered Rum. Better Luck Tomorrow’s Custard French Toast with Angostura Bitters crème fraiche and orange jelly. Photo courtesy of Better Luck Tomorrow. Better Luck Tomorrow’s full wine list (curated by Justin Vann of Public Services Wine & Whisky and Theodore Rex) and beers are also available during brunch service. Once brunch service ends, the regular cocktail and food menus will be in effect nightly offerings until the usual closing time of 2 a.m.
As a bar, Better Luck Tomorrow’s dishes, in general, have proven as top-notch and compelling as any restaurants. 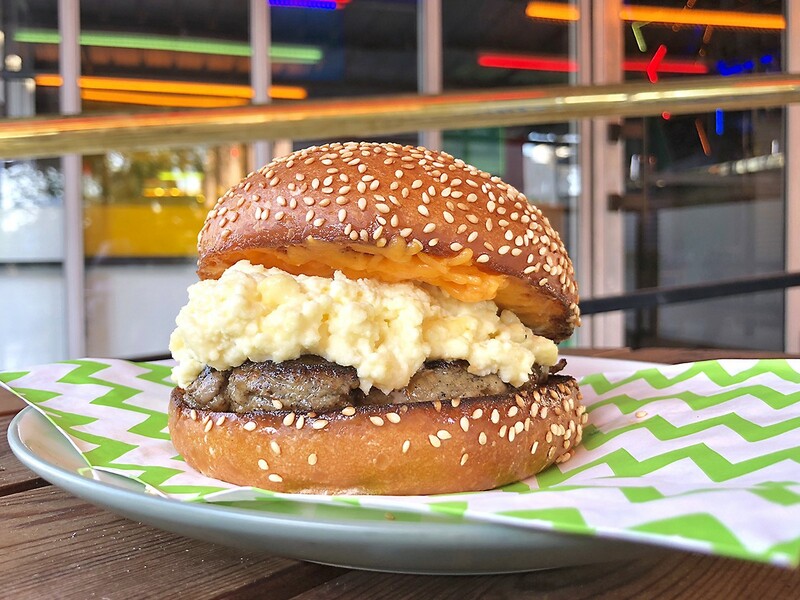 The Patty Melt and Not A Pizza (with burrata, spring onions and anchovy-garlic bagna cauda) on the regular menu have been buzzworthy in Houston’s food world and some of the best new dishes to debut this year. Make no mistake, though: the establishments prides itself on being primarily a bar.